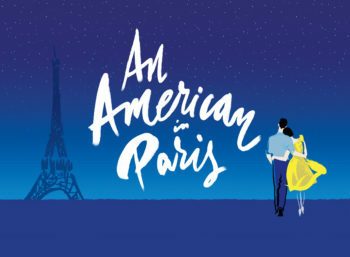 An American in Paris tells the romantic story of World War II veteran Jerry Mulligan (Clyde Alves) who, hoping to start a new life, chooses newly-liberated Paris to make a name for himself as a painter. His life becomes complicated when he falls for Lise (Julie Eicher), a young Parisian shop girl, only to learn he is not her only suitor. This lavish new musical is guaranteed to sweep you off your feet, and into the arms of a story you’ll never forget. Starring as Jerry Mulligan is Broadway’s Clyde Alves in his Ogunquit Playhouse debut. Mr. Alves’ numerous Broadway credits include Bullets Over Broadway, Nice Work If You Can Get It, Anything Goes, Wicked, Hairspray, Oklahoma!, On The Town, for which he received an Astaire Award nomination, and The Music Man, for which he won an Astaire Award for his performance as Tommy. Co-starring as Lise, the mysterious Parisian shop girl who catches Jerry’s attention, is Julie Eicher who is also making her Ogunquit Playhouse debut. Ms. Eicher was in the National Tour of Phantom of the Opera, and has performed at Lyric Opera of Chicago in Carousel, and Theatre by the Sea in Young Frankenstein. She has also performed with the Nashville Ballet, Dayton Ballet, Ballet Neo, and Artisan Dance Company as well as on television’s “So You Think You Can Dance.” This fall she will be joining the National Tour of Miss Saigon.